As we can see, there are many problems on iPhone 6 series. Though some of them can be solved after iOS 10 update. But some cannot. Thus we cannot help wondering upgrade to iPhone 7 to fix these bugs. Next, let's take a look at the detailed iPhone 7 review including iPhone 7 pros, iPhone 7/Plus specification, features, price etc. After reading these material, perhaps you can't wait to upgrade to iPhone 7 or even upgrade to iPhone 8. Lest your old iPhone 6/6s/SE/5s data files get lost during iPhone to iPhone 7 transfer process, you'd better make a backup of your old iPhone datas first. The 5-star MacX MediaTrans is the great option, able to transfer music, videos, photos and more from iPhone 6/6s/SE to PC for backup and transfer datas to iPhone 7 iOS 10 with ease. iPhone 6/6s/6s plus disadvantages are annoying for Apple users. More and more Apple users cannot stand the inconvenience from iPhone 6s disadvantages, even if plenty of advantages are retained. Now let's check at length what spur us on to iPhone 7 or iPhone 8 update tips on earth. Experienced the drawbacks of iPhone 6 series, we are expecting to see something completely new for the iPhone 7. We'll have a glimpse of iPhone 7 salient features and specs and find out the benefits of upgrading to iPhone 7. With the iPhone 6s and 6s Plus Apple finally budged on some of the specifications it has refused to change for years, such as the 12Mp iSight camera, 4K recording and so on. And there is no evidence showing that iPhone 7 improves battery life. 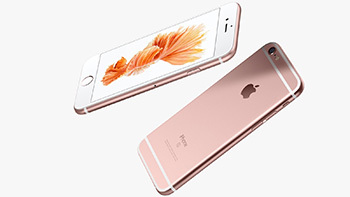 But luckily, many essences of iPhone 6s/6s plus have been reserved. Meanwhile, the changes of bad aspects are also on the agenda. 1. Added two new colors for iPhone 7/Plus. In this iPhone 7 upgrade, two new colors are available: Black and Jet Black colors. But Jet Black will be limited to 128GB and 256GB models of both iPhone 7 and iPhone 7 Plus. And the other four colors (Gold, Silver, Rose Cold and Black) can be choosed for all storage capacities. 2. Wireless AirPods. Apple offers new Siri-enabled wireless earbuds named AirPods for users to enjoy high quality audio. Through the double tap on the buds invokes Siri, users can freely select music, change the volume, check the battery life and more. 3. No headphone jack. To save space for the new camera systems, battery and even processors in the iPhone 7 and the iPhone 7 Plus, Apple eliminated the headphone jack. 4. Water and dust resistance. iPhone will no longer end its life because of being dropped in water accidentally. 5. Second-to-none A10 Fusion Processor. The powerful A10 Fusion processor takes things to an entirely new level, making best use of CPU and GPU with 6 cores, delivering a CPU performance boost of 40% and reducing power consumption simultaneously, compared to iPhone 6s. So you can update to iOS 10 to enjoy these priviledges. 6. New camera system. iPhone 7 Plus features a dual-lens 12-megapixel camera system including a wide-angle lens and a separate telephoto lens that combine to create 2x optical zoom and 10x digital zoom features. 5KPlayer - free stream video music from iPhone 7/6s to Mac/PC Windows, as well as AirPlay iPhone 7/Mac/Windows PC media to Apple TV 4 for a better enjoyment of movies. As the big benefits of iPhone 7, why not upgrading to iPhone 7 to experience its powerful performance. Whereas some preparations need to be done in advance for upgrading to iPhone 7 no matter what cellphone you are using now. Here we list everything you need to do for iPhone 7 and iPhone 8 upgrade if you want to switch your old iPhone or Android gadget to the new iPhone 7 or iPhone 8. 1. Backup data from old cellphones. 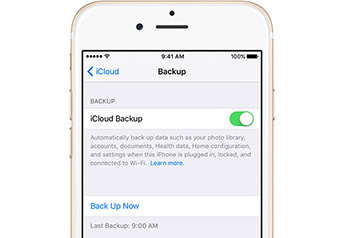 iPhone 6/6S/SE data backup can be the top thing before you upgrade to iPhone 7. Contacts list and SMS backup would be the essential, some other data backup like photos, music, movies and documents is also an important part of cannot be ignored since it is a time-consuming thing to download movies to iPhone 7/7 Plus. Luckily, you are able to backup your iPhone through iCloud or iTunes following these easy steps. Note: If you are using iTunes to backup data, make sure to update iTunes to the latest version, connect your device to computer with USB, click File > Devices > Back Up. When you finish the old phones data backup, the next step - activate & set up iPhone 7, should be on the agenda. Only get through this step, the iPhone 7 upgrade is completed preliminary. There may be a bit more steps for iPhone 7 set up, but never complicated. Step 2: Choose a Wi-Fi network. Step 3: Set up Touch ID. Step 8: Tap "Get Started". The same method also applies to iPhone 8 setup. Apple prides itself on providing an excellent movie viewing experience on the crisp iPhone screen. And after you upgraded your old phone to iPhone 7, it will not let you down on watching movies. 256GB of storage will put into use to save more movies, 4K Ultra HD videos as well as high definition photos. Moreover, the improved battery life of iPhone 7 will enable you to watch movies constantly. The only issue comes to how to get movie resource for limitless playback on iPhone 7. Never mind! 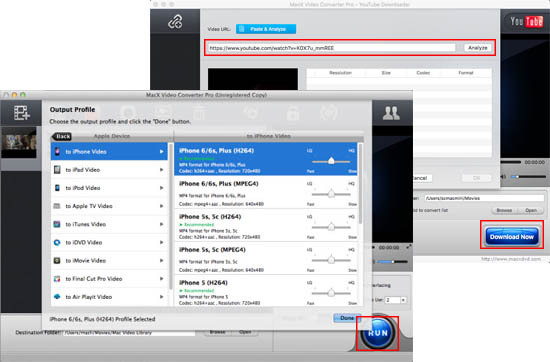 We have MacX Video Converter Pro that ready for iPhone 7. MacX Video Converter Pro acts perfect on free download movies for iPhone 7 and convert any movies to iPhone compatible formats. Specifically it is capable of downloading MP4, MOV, AVI, MKV, MP3, AAC etc. video/audio from YouTube, Dailymotion, Vimeo, Vevo, SoundCloud, Metacafe, etc. 300+ video movie sites; and convert all downloaded movies/music to more than 350+ profiles for Apple and Android devices, including the latest iPhone 7. Thus you are free to store massive offline movies for offline watching at your spare time.